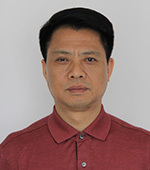 Dr. Jian is Professor, Chief Physician and Doctoral Supervisor at the Department of Geriatrics of the Second Xiangya Hospital of Central South University. His leadership roles in professional organizations include Vice Chair of the 7th and 8th terms of the Chinese Society of Geriatrics, Vice Chair of the 2nd term for the Geriatrics Committee of the China Pharmaceutical Culture Society and Vice Chair of the 6th, 7th and 8th terms of the Geriatrics Committee of Hunan Medical Association. He is on the editorial boards of ten journals including the Chinese Journal of Geriatrics, the Chinese Journal of Geriatric Heart Brain and Vessel Diseases, the Chinese Journal of Traditional Western Medicine, the Chinese Journal of Cardiovascular Medicine, the Chinese Journal of Gerontology, the Chinese Journal of Clinical Healthcare, the International Journal of Geriatrics, Practical Geriatrics and Continuing Medical Education. Dr. Jian has led ten ministerial or provincial level research projects and published 130 professional papers. He has participated in the editing of 23 books. Dr. Jian also holds one national patent in China. He has been recognized several times for his scientific achievements by Hunan Province.